Flohale Inhaler (Generic Flovent HFA ) is used for the maintenance treatment in patients with mild to severe, persistent bronchial asthma. It is also used to treat patients requiring oral corticosteroid therapy for asthma. Generic Flovent HFA inhaler is not indicated for the relief of acute bronchospasm. We supply original Flohale 50 HFA Inhaler and Flohale 125 HFA Inhaler manufactured by Cipla Ltd.. Each Flohale HFA 50 mcg and 125 mcg canister contains 120 metered doses. The active ingredient present in Flohale Inhaler is Fluticasone Propionate. Each actuation of Flohale Inhaler delivers 50 mcg or 125 mcg of Fluticasone Propionate IP. Fluticasone Propionate inhaler (Flohale) is used to prevent or reduce the frequency and seriousness of asthma attacks. It is a corticosteroid and works by reducing inflammation in the airway. It will not help to stop an asthma attack once one starts. We supply Flohale Inhaler by Cipla which is also known as Generic Flovent and Generic Flixotide. It contains the active ingredient Fluticasone Propionate and comes in strengths of 50 mcg and 125 mcg. Fluticasone Propionate is also available as a nasal spray under the brand name Flomist Nasal Spray. We also offer this medication. The recommended dosage is twice daily. The maximum dosage is 500 mcg twice daily. You must prime the Flohale inhaler before you use it for the first time by removing the protective cap at the mouthpiece and shake the inhaler well for 5 seconds. Spray the Flohale inhaler into the air away from your face and eyes. Repeat spraying 3 times more to finish priming it. You will need to prime the inhaler again if you go without using it for more than 7 days or if you drop it. To prime the inhaler again, take the cap off the mouthpiece and shake the inhaler well for 5 seconds. Spray it 1 time into the air away from your face and eyes. Assure that the canister is properly placed in the Flohale Inhaler by Cipla (Generic Flovent). Shake well before each use. Breathe out slowly untill your lungs are empty of air. Place the mouthpiece between your lips and try to rest your tongue flat, unless your doctor has told you otherwise. As you start to take a slow deep breath, press the canister and mouthpiece together at exactly the same time. This will release a dose of the medicine. Continue breathing in slowly and deeply and hold for as long as comfortable, then breathe out slowly through pursed lips or your nose. If more than 1 inhalation is to be used, wait a few minutes and repeat the above steps. Keep the spray away from your eyes. After inhaling, rinse your mouth with water and spit it out. Keep track of the number of sprays you use and subtract this number from the number of doses in the container. This will help you to know when the container is becoming empty. The Flohale Inhaler by Cipla (Generic Flovent) contains 120 metered doses. Continue to use Flohale HFA Inhaler by Cipla (Generic Flovent) even if you feel well. Do not miss any doses. If you miss a dose, take it as soon as possible. If it is almost time for your next dose, skip the missed dose and go back to your regular dosing schedule. Do not use 2 doses at once. Ask your health care provider any questions you may have about how to use this aerosol Inhaler. The commonly occurring side effects of Fluticasone inhaler (Flohale HFA inhaler) are pharyngitis, nasal congestion, sinusitis, rhinitis, hoarseness/dysphonia, candidiasis of mouth and throat, upper respiratory tract infections, influenza, cough and bronchitis. All medicines may cause side effects, but many people have no, or minor side effects. Check with your doctor if any of these common side effects persist or become bothersome: dry mouth, flu, headache, hoarseness, mouth or throat irritation, nasal discharge, runny nose, sinus swelling, sore throat, stuffy nose, or upper respiratory tract infection. This is not a complete list of all side effects of Flohale HFA inhaler that may occur. If you have questions about side effects, contact your health care provider. Call your doctor for medical advice about side effects. Flohale Inhaler is contraindicated in patients with a history of hypersensitivity to Fluticasone Propionate or any of the inactive ingredients present in this medication. Flohale Inhaler is also contraindicated in the primary treatment of status asthmaticus (a severe condition in which asthma attacks follow one another without a break) or other acute episodes of asthma where intensive measures are required. Some medicines may interact with Flohale Inhaler by Cipla (Generic Flovent). Tell your health care provider if you are taking any other medicines, especially medicines that act on the liver such as Ketoconazole and Ritonavir because they may increase the actions of Flohale Inhaler by Cipla (Generic Flovent) and the risk of side effects. Fluticasone Propionate (Flohale inhaler) has been classified by the US FDA as Pregnancy Category C. There are no adequate and well-controlled trials with Generic Flovent HFA in pregnant women. Corticosteroids have been proved to be teratogenic in laboratory animals when administered systemically at relatively low dosage levels. Administration of Fluticasone Propionate during pregnancy should only be considered if the expected benefit to the mother is greater than any possible risk to the foetus. Flohale HFA Inhaler by Cipla (Generic Flovent) may be harmful to an unborn baby. Tell your doctor if you are pregnant or plan to become pregnant during treatment. The secretion of Fluticasone Propionate in human breast milk has not been studied. However, other corticosteroids have been detected in breast milk. Plasma levels in humans after inhalation at recommended doses are likely to be low. When Fluticasone Propionate is administered to lactating mothers, the therapeutic benefits must be weighed against the potential hazards to the mothers and the infants. Caution should be exercised when Generic Flovent(Flohale HFA inhaler) is administered to nursing women. Do not use this medicine without telling your doctor if you are breastfeeding a baby. You can buy Generic Flovent inhaler online from Clear Sky Pharmacy at a cheap price. 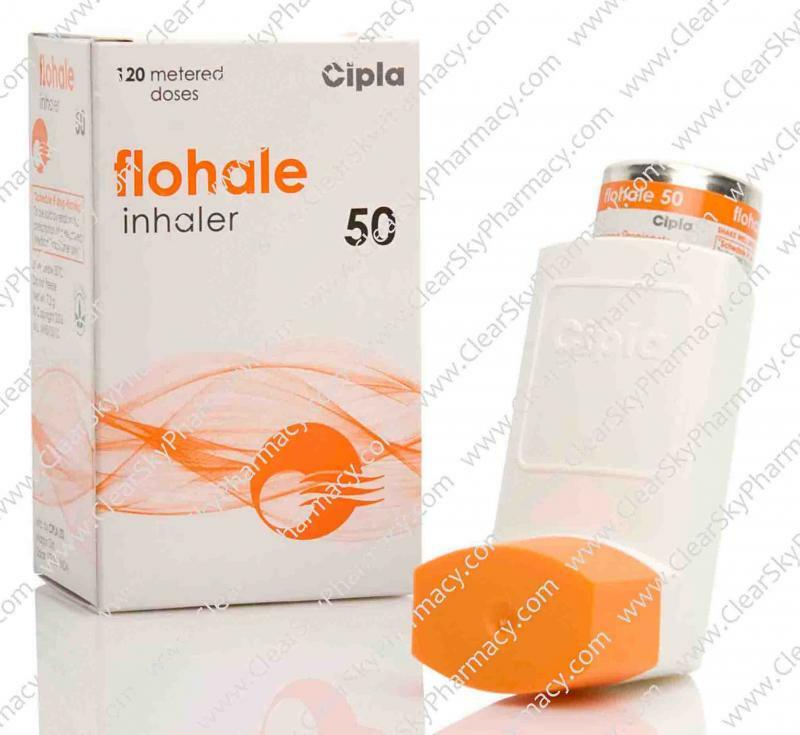 Flohale HFA 50 mcg and 125 mcg Inhaler, manufactured by Cipla Ltd., India are supplied in canisters. 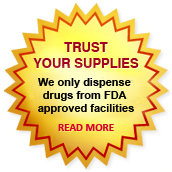 The 50 mcg Fluticasone inhaler costs only $11.66 per unit when you place an order for 6 canisters. Each Flohale 50 HFA Inhaler and Flohale 125 HFA Inhaler canister contains 120 metered doses.